Now it lays on my desk and I'm wondering how this device works? There are some printings on a sticker. 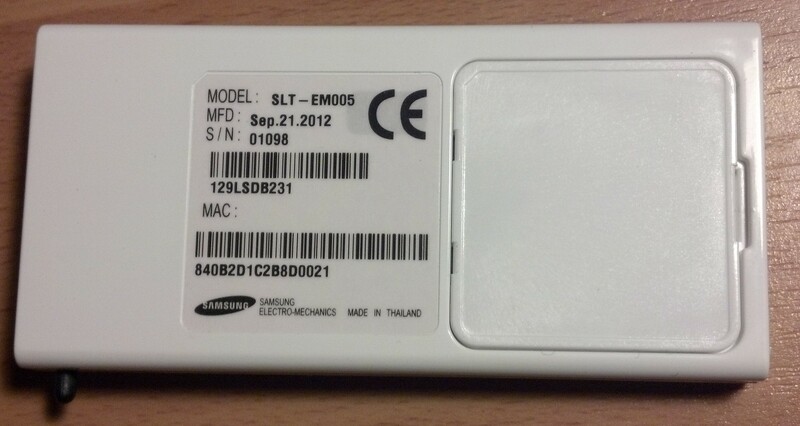 A producer: Samsung, model SLT-EM005 and something very interesting: a MAC address. When opened, there's a battery and PCB with two integrated circuits. Larger one SSD1623L2/W232BU and smaller SAMSUNG ZBS242QRF/1234 (or Z8S242QRF... very small printings). The problem is, that I couldn't found any datasheet of that IC. That are only my thoughts, but there must be some wireless network of this devices around the store. Does someone know anything more about this interesting thing? The left hand side of the board in the 2nd to last picture contains two PIFAs (Planar inverted F antenna). Looks like one is 2.4 GHz and one is 5 GHz. It appears that the ZBS242 chip is a Samsung SOC with a built in IEEE 802.15.4 ZigBee radio. I can't find much information about it, and the pages I have found are in Korean. Figures. Edit: now that the PDF I linked finally decided to load, it looks like the ZBS242 is intended for use in RF remote controls. There isn't much information, but it says that it will support an 11x11 keyboard, deep sleep, and a few peripherals. The image in the PDF had a part number ZBS240, which led me to some documentation for a development board with this chip. 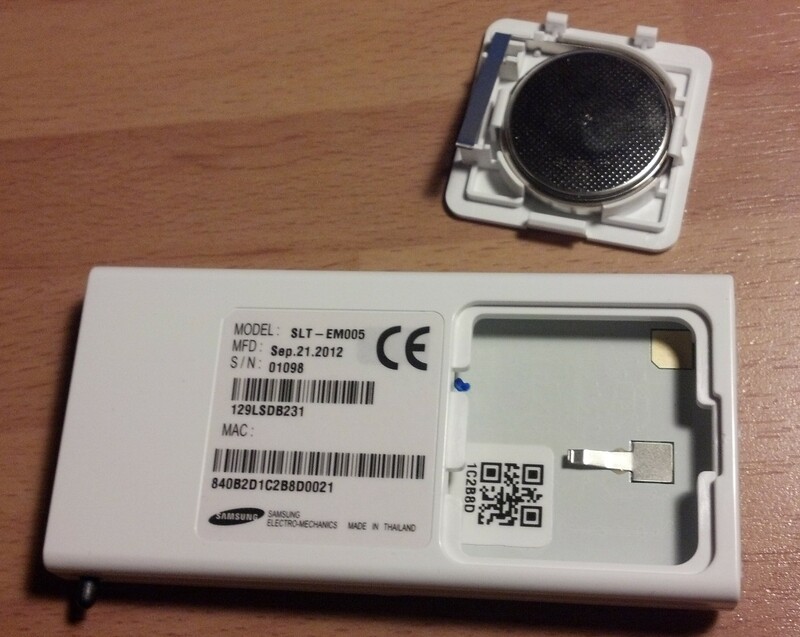 However, it seems that there is very little information available on the chip as it is likely a Samsung internal part. Edit again: I should have googled this earlier. The SSD1623 is a generic display driver chip with an SPI interface for a 96 segment, three level display. 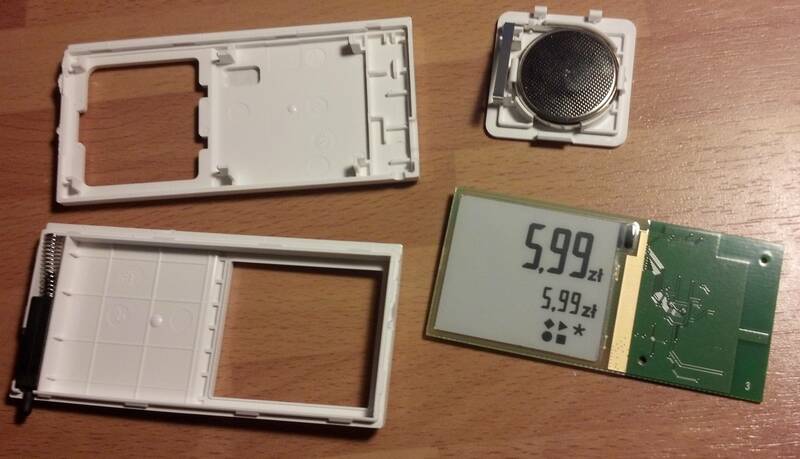 It also has a built-in charge pump to generate high bias drive voltages for the display. It also looks like there are provisions for a real time clock chip on the bottom left side, but it is not installed. I am not an expert in the exact operation of the technology, but I was a shop assistent in tesco, as a student in Hungary, where this ESL technolgy was installed first. 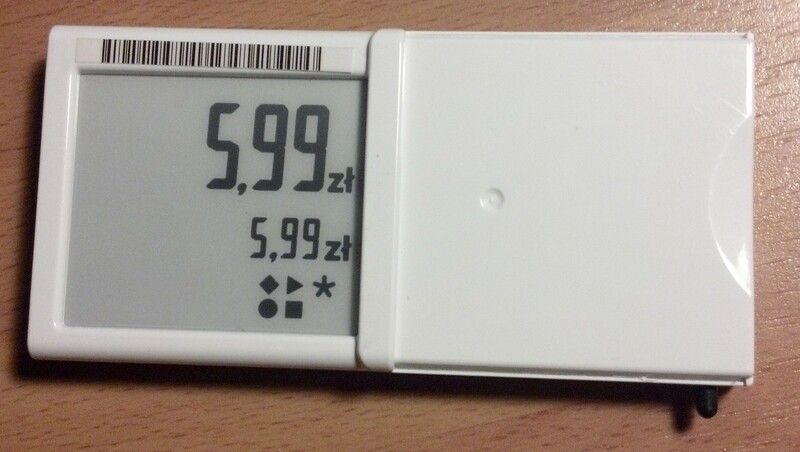 First - with this manual device - we get the barcode identifier of the exact product, and then with the right options on the device, we program this tag to have the datas of this special product (basically we connect them with this electronic technology). Every tag has its own kind of barcode, which we use to create this connection. Then we have to activate this tag - we need another device for this, which called "clicker". Unfortunately I am not sure of the technological basics of this device, but I guess it could some infrared or bluetooth technology. Basically this is a device, which creates the active connection between the tag, and the integrated computer system. Not the answer you're looking for? Browse other questions tagged wireless rfid display e-ink or ask your own question. How to drive a E1144CS021 (EPD display)? 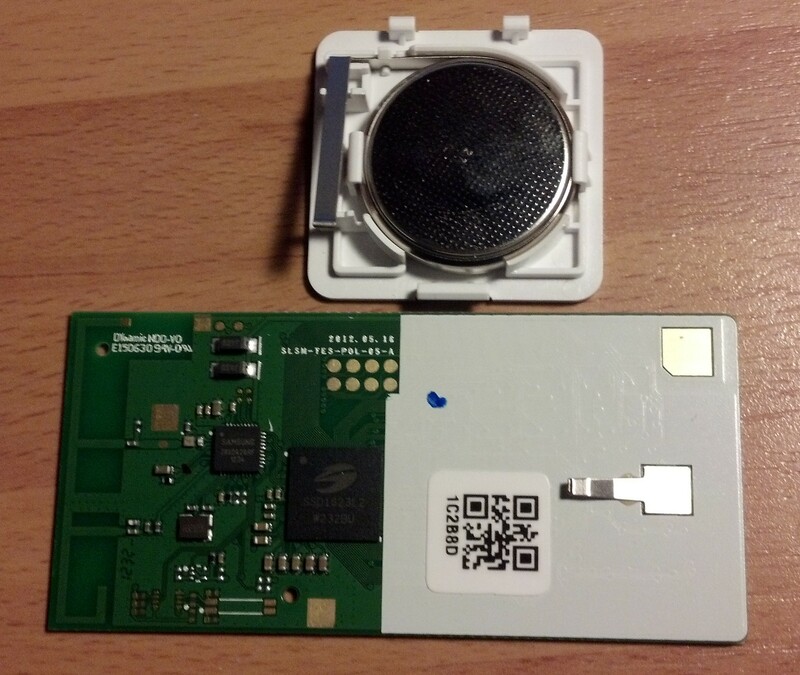 How does RFID reader reads a passive RFID tag?